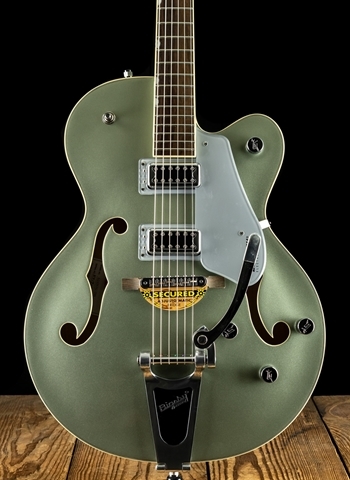 Gretsch Guitars are a name that always comes to mind when thinking about timeless brands of guitars and instruments. 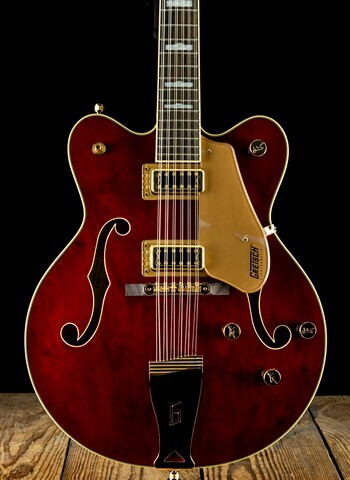 Gretsch is one of those companies that you immediately associate with some of the best guitarists on the planet. Chet Atkins was known for using a Gretsch to create his timeless sound and music that has inspired generations of guitarists and made Chet an absolute legend in the guitar and music world alike. 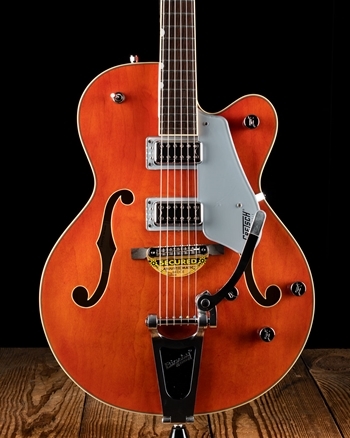 Guitarists like George Harrison, The Edge, and Brian Setzer have all shown the many different directions and styles of music that Gretsch can cover tonally. For one of the best selections of Gretsch guitars in the industry today contact us at N Stuff Music and we will guide you in the right direction. First let's discuss a little about the long history of Gretsch musical instruments. Gretsch was founded way back in 1883 by Friedrich Gretsch and soon after his death his son took over the business and it began to take of as a prominent American instrument manufacturer. In the 1930's Gretsch began producing guitars and in the following decades they became heavily sought after and popular guitars like Bo Diddley and Chuck Berry would soon be users of their guitars. 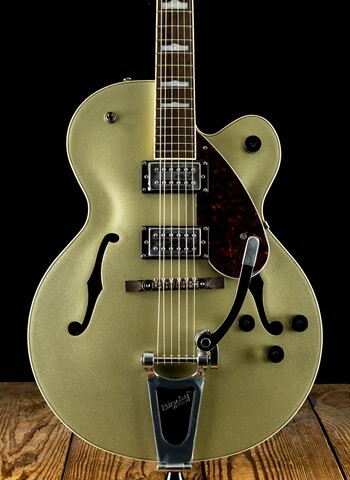 The endorsement of Chet Atkins really brought Gretsch to the forefront of the guitar industry among companies like Gibson and Fender. 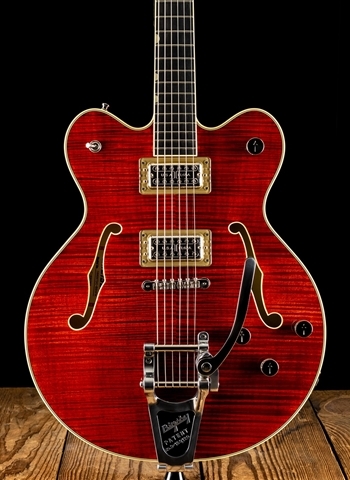 Gretsch Guitars are just one of those guitar brands that sticks out to you the moment you see a guitar player with one. 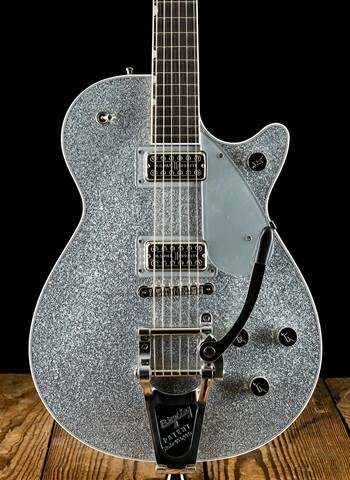 One of the most revered guitars that Gretsch produces is the ever beautiful White Falcon. John Frusciante when with The Red Hot Chili Peppers at Slane Castle used a White Falcon and got a tone like few people ever thought a Gretsch could do, but despite their classic appearance Gretsch guitars are incredibly versatile. 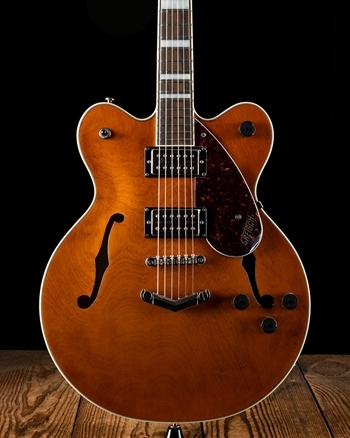 Guitarists like Brian Setzer used Gretsch guitars to pave the sound for rockabilly as a genre and has led to Gretsch guitars being the predominant guitar used in the rockabilly world. Gretsch has not limited themselves over the last few decades, they've also produced a variety of quality acoustic guitars and resonator guitars that have proven to maintain their high level of quality while being great value to customers everywhere. 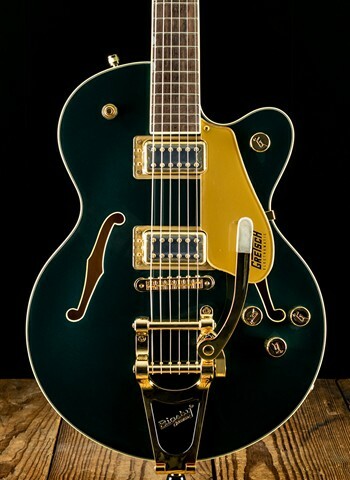 As with any one of our dealers here at N Stuff Music if there is a guitar that you'd like to purchase from one of our dealers such as Gretsch but we do not have it in stock, simply contact us and we can order it for you to be shipped to our store for free for you to purchase. 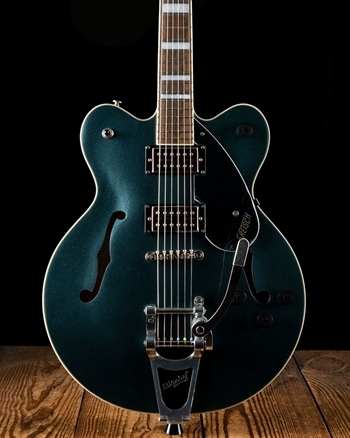 Gretsch is a renowned brand in the world of guitars, drums, basses, and musical instruments. How can you go wrong with a list of artists like Chet Atkins, Brian Setzer, John Frusciante, George Harrison, The Edge, and many others? Each of these artists demand the best in terms of style, quality, sound, and reliability, that is what brings them back to Gretsch time and time again. For more information on what Gretsch guitars are available at our store feel free to contact us on our website in our chat, email, and by phone, and certainly feel free to visit us at our store's location.